Full Text Made available under a CC BY-NC-ND 4.0 license. with support from Knowledge Unlatched. Jacqueline Knörr is Head of Research Group at the Max Planck Institute for Social Anthropology and Extraordinary Professor at the Martin Luther University in Halle/Saale, Germany. She was brought up in Ghana and Germany and conducted extensive field research in Indonesia, West Africa and Central Europe. She has worked as Senior Lecturer, Senior Researcher, University Professor, Scientific Director, Consultant and Political Advisor. Her research and publications focus on the political anthropology of postcolonial societies, decolonization, nationalism, identity politics, ethno-linguistics, gender, and childhood. Christoph Kohl is a research fellow in the research group ‘The Cultural Dynamics of Political Globalisation’ at the Peace Research Institute Frankfurt (PRIF), Germany. He was a doctoral fellow at the Max Planck Institute for Social Anthropology in Halle (Saale), and received his Ph.D. from the Martin Luther University Halle-Wittenberg in 2010. 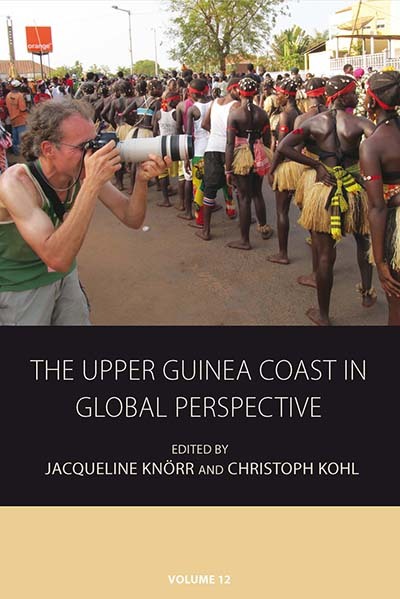 The Upper Guinea Coast in Global Perspective Edited by Jacqueline Knörr and Christoph Kohl is available open access under a Creative Commons Attribution-NonCommercial-NoDerivatives 4.0 International License (CC BY-NC-ND 4.0). with support from Knowledge Unlatched. *This chapter is not available in the open access edition due to rights restrictions. It is accessible in the print edition, spanning pages 255-279.